The GOP is still reveling in victory at finally overhauling the U.S. tax code, while conservative allies work the press to claim that the cuts are already saving the middle class money and stimulating the economy. One of their biggest success stories? Walmart. Ironically, though, it is Walmart that highlights the biggest problem with the new tax code — and why the wealth gap is only going to get worse. Walmart was one of a series of businesses – many of them banks and airlines — to announce bonuses and raises in celebration of the new tax bill. Most chose bonuses, since, as the Washington Post reports, they don’t represent any sort of long-term commitment to better pay. Walmart, on the other hand, chose to increase wages. Shortly after the bill passed, the company announced a new policy that would raise their starting hourly wage to $11 an hour, and even add perks like paid parental leave. The announcement was hailed by many Republicans as proof that their bill would truly help lower and middle class Americans, rather than simply serve as a handout to the nation’s wealthiest. But the truth is that tax reform likely had very little to do with it. Odds are that public pressure, rather than tax breaks prompted the policy change. At the same time that Walmart announced its new pay structure and perks, the company also announced that it would be closing over five dozen Sam’s Clubs — another Walton family-affiliated business, resulting in job losses for thousands of workers. 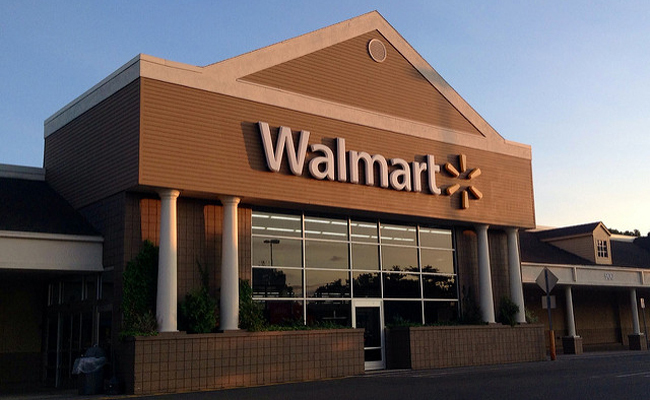 The world’s largest retailer and private employer, officially called Wal-Mart Stores Inc, will shutter 63 of its Sam’s Club discount warehouses, or about one tenth of the chain overall, according to a senior company official who declined to be named. Around 50 of those stores will be shut permanently after a review of profitability and up to 12 more will be shut and reopened as e-commerce warehouses, the person said. Every Sam’s Club store employs about 150 workers, bringing the total number of affected jobs to about 7,500, the person said. Many of them will be accommodated in new jobs at the newly opened warehouses and other stores, the official said. Conservatives often claimed that raising the wages of hourly workers would lead to an immediate need for layoffs, and the Walmart/Sam’s Club wage hike and closures couldn’t be a more cartoonish example of a business following through on its longstanding threat — and still expecting praise for “passing on” its newfound windfalls to its smallest employees. It’s also an utterly shameless example of corporate greed. Earlier in January, Time Magazine released its “10 Richest Women in America” figures. All of them, unsurprisingly, either inherited or married into their wealth. And nearly one-third of them are a part of the Walton family. The Walton women make up three of the ten richest women in America, and Walton son Rob Walton skids into the bottom of the top 10 richest American men. Together, these four scions alone represent over $100 billion, and they’ll be able to hold on to and pass down even larger portions of that wealth now that the new tax reforms will go into effect. And the wealth gap? Well, that’s only going to grow even larger. Replace politicians with modular departmental government headed by CEOs who get fired if they do not deliver on budget. Replace all tax with a single VAT (sales tax) of 5 percent. No loopholes, no exceptions. This is the only way to level the tax field - make it all equal. With proper government and no political money wasting, there will be plenty of money to run the country properly. Political government's increasing need for money is self-generating. Politics in power will always up your tax and not give you anything back for it. Bonuses are heavily taxed. The amount of money these workers are receiving amounts to peanuts. Trump doesn't mind further increasing the income gap. Instead of cutting the outraegeously high 13 million dollar a year salary the greedy CEO makes, Walmart, closes dozens of stores. Heartless oligarchs. 3 Are Single-Use Plastic Bags Really Better for the Environment?